When pianist Zsolt Bognar performed during last summer’s National Repertory Orchestra season, “none of us could get enough of his music,” said Julie Chandler, director of development. So, he’s back for an encore. Bognar has played throughout the world, including the Lincoln and Kennedy centers and venues in Russia, Hungary, Austria, Belgium, the Netherlands and Tokyo. But some of his fondest memories lie in Breckenridge. Last summer, he made his first trip to Summit County, and though the mountains and recreation impressed him, what touched him the most was the community appreciation. “(My sponsors and host family) were all so kind with their time and energy,” Bognar said. He cherishes the community’s support of classical music in general, especially in these economic times, so he sees Saturday’s concert as an opportunity to give back. 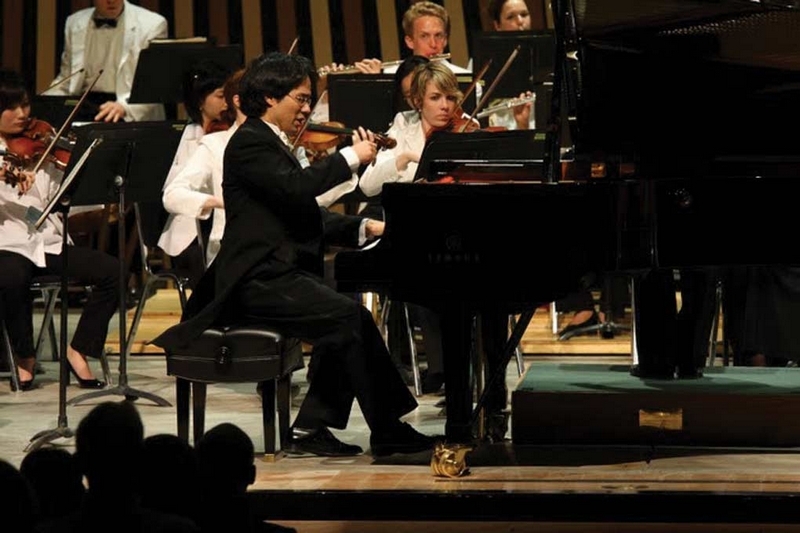 He also donates time at elementary schools to promote classical music. “At that age, if you tell them that classical music is cool, they’ll believe you,” he said, laughing. His passion for piano, and classical music as a whole, comes through in his visceral playing. He believes classical music is meant to be shared and describes its command in its ability to provide people with a present-moment experience. He contrasts a classical concert with today’s world of information bombardment, through the Internet and media. The concert will end with dramatic, approximately 15-minute work by Liszt. The music depicts a love story, with a range from virtuosic “notes flying everywhere” to an inward and introspective tone. “All of the themes combine for a spectacular finale,” he said.